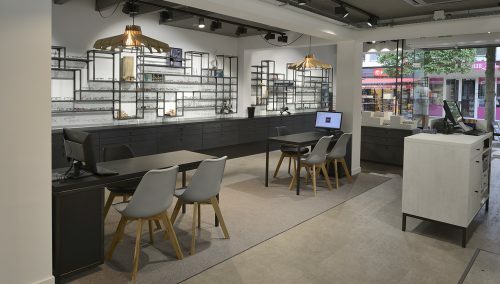 Akkerman Optiek at De Meent in Rotterdam instructed WSB to complete an incisive restyling of the shop interior. The result is beautiful, calm, contemporary and progressive. 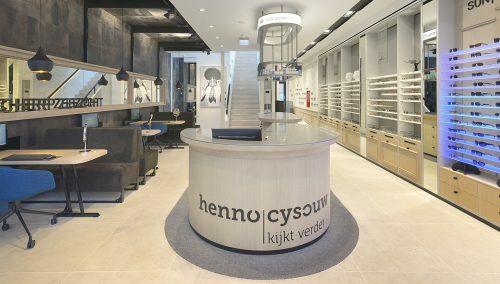 Akkerman Meent is an optician spectacles shop in Rotterdam. Come visit this shop for a broad range of hip and trendy frames. Glasses are jewellery, after all, both for ladies and for gents. The employees of Akkerman are ready to assist you in your choice. You can also have your eyes tested at Akkerman De Meent. Akkerman has a Varilux center and can measure the right type of glass. 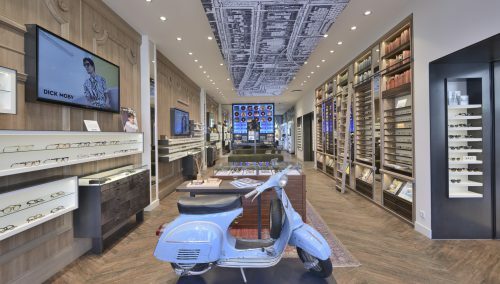 Akkerman has a broad range of glasses, including the brands Tom Ford, Prada and Chanel. Akkerman can also assist you for sunglasses and contact lenses, for both adults and children. WSB’s designers are creative designers of interior concepts in fashion, shoe fashion, jewellery, and opticians. WSB is active in the Netherlands, Germany, Belgium, Luxembourg and France. WSB works for both fashion brands and individual shops. Do you have any plans for a new store concept or a shop renovation? Please call us, send an email or vist our website.